Spring storm season started with a bang across much of the United States, and weather events are only expected to increase in frequency throughout the season. According to Aon Benfield’s catastrophe model development team, severe weather in the U.S., this March, cost insurers more than $2 billion. March typically signifies the start of many destructive spring weather patterns, such as hail, tornadoes, wind, and lightning. This March included an above average amount of spring storm activity. According to NOAA, March 2017 had more than twice the severe weather reports than March 2016. Tornadoes, hail, wind, and lightning have caused a significant amount of property damage so far this year. The beginning of March included dozens of tornado touchdowns and baseball-sized hail across the Midwest and Great Plains. Severe weather in late March increased exponentially with thunderstorms, hail, and high winds leaving a path of destruction through the Midwest and Southeast. This was followed by extensive hailstorms with up to softball-sized stones damaging the Plains, Southeast, and Midwest. In addition to the typical spring storm, wildfires and late winter weather wreaked havoc on the agriculture industry. Wildfires ran rampant through cattle country in parts of Oklahoma, Texas, Kansas, and Colorado in early March. These fires were caused by a combination of long-term drought, hot air, and gusty winds, and estimated damages totaled over $10 million in Texas alone (NOAA). A late freeze in the Southeast is estimated to cost South Carolina and Georgia $1 billion in crop damage (Associated Press). With all the severe weather that has taken place already this spring, it is important that, as adjusters, you have all the tools necessary to handle any severe weather HVAC claims that come across your desk. In March, there were 851 reported hailstorms across the United States (NOAA), and we typically see even higher frequencies in April and May. Based on the past 5 years of hailstorm data and the number of hailstorms so far this year, we are on pace to suffer the highest number of hailstorms for this period, with a 65% increase over the 5-year average. Additionally, 2017 saw the highest number of storms in January and February in 5 years, both numbers at more than twice the 5-year average. As you can see, hail is poised to be incredibly prevalent this spring, particularly throughout the Southeast, Midwest, Southwest, and Plains, all of which have seen a large number of hailstorms already this year. 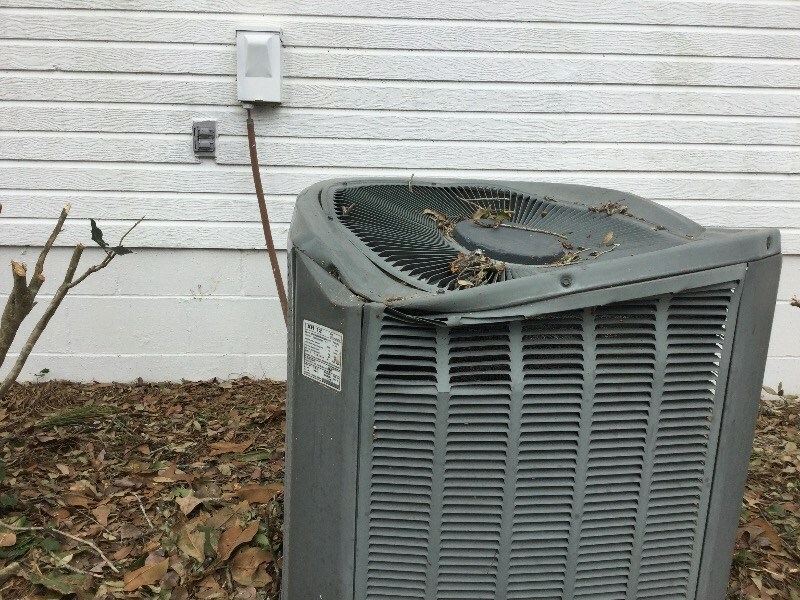 One important factor to keep in mind when adjusting HVAC hail claims is that repair is often a viable option for returning the insured to pre-loss condition. 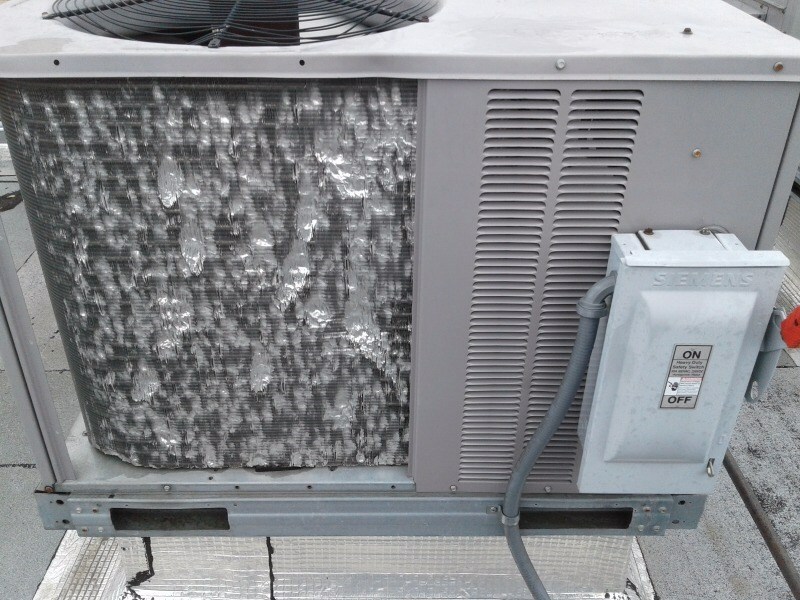 In fact, an average of 95% of HVAC systems that we assess for hail damage can be returned to pre-loss condition without requiring a full system replacement. Our HVAC Hail Damage Repair Hierarchy is designed specifically for adjusters to make settling HVAC hail damage claims easier. Across the United States, precipitation is typically high during the spring and summer months. April through August are usually the highest average precipitation months across the country, with the greatest amounts occurring in May and June for the past 5 years (NOAA). This frequent precipitation, combined with snowmelt, leads to an increase in water claims in the spring. According to Farmers Insurance, 17% of U.S. claims in the spring are a result of water damage. Some regions have a much higher frequency of water claims in the spring, such as the Southwest with 41% of claims due to water. While water damage can be expensive, averaging close to $8,000 per residential water claim (III), over 85% of HVAC systems assessed by HVACi with water damage result in a repair recommendation. Our water damage education illustrates types of damage to three common HVAC systems based on the level that the water reached. 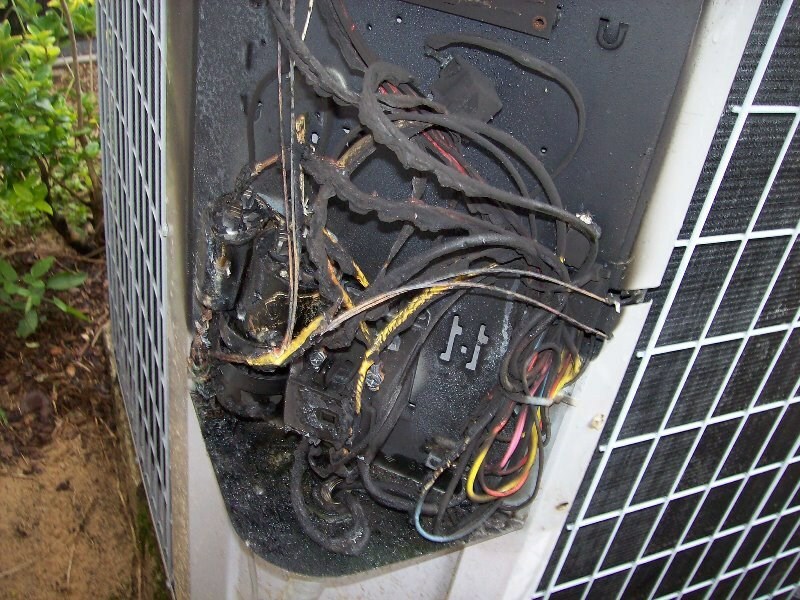 A third prevalent peril in both spring and summer is lightning damage. While thunderstorms and lightning can occur year round, The National Severe Storms Laboratory emphasizes that the weather pattern is most common in the spring and summer months. Lightning thrives in warm air and high moisture conditions, which leads to frequent thunderstorms in the Southeast during this time of the year. With approximately 100,000 thunderstorms occurring each year in the United States, it is no wonder that 31% of the residential claims assigned to HVACi in 2016 were reported as lightning. 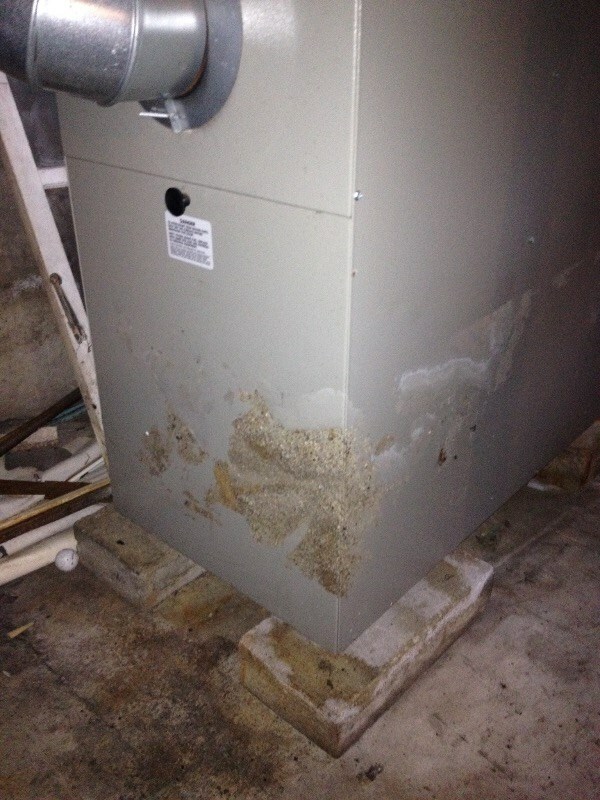 However, actual direct lightning damage to HVAC systems is very rare. Only 3% of residential systems assessed last year were actually damaged by a direct lightning strike. Many were ultimately recategorized as wear & tear or high voltage surge. Our Lightning Damage Overview outlines the differences in the symptoms of lightning, high voltage surge, and wear & tear damages, to help adjusters like you settle your claims accurately. With an increase in severe weather patterns and natural disasters, we want to make sure you have all the tools you need. For more information, take a look at our other Adjuster Resources and sign up for our claim education newsletter.